This 'Custom Country Home' features a professionally decorated gorgeous country decor. The living room has a thirty six inch TV/VCR and stone fireplace. Also, throughout the house you will find 2 more TV's, and 2 DVD players. Other features include a dining room that seats eight plus additional seating at the bar. It has a tiled fully equipped kitchen. His and her shower heads in the master bath. Only minutes from the Lake and eighteen minutes to world class skiing and casinos makes this home ideal for that upscale Tahoe vacation. 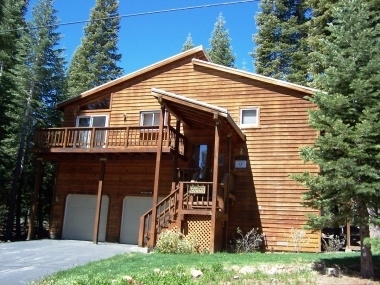 This home is located in the Cedar Flat/Carnelian Bay area of North Lake Tahoe. New Hot Tub.